This global wrap-up provides key updates of industry developments across the globe, including new procurement deals, capability introductions and key announcements. Mitsubishi Heavy Industries has signed a US$816 million deal to build the first two of four multi role frigates for the Japanese Maritime Self-Defense Force (JMSDF). Armament on the 3,900-tonne vessels will include the navalised version of the Type-03 (also known as the ‘Chū-SAM Kai’) medium-range surface-to-air missile, a five-inch (127mm)/62-calibre gun, a vertical launch system, canister-launched anti-ship missiles, and a SeaRAM close-in weapon system. The Republic of Korea Air Force is set to take delivery of its first Airbus A330 Multi Role Tanker Transport (MRTT) as part of a US$1.3 billion deal for four tankers. Lockheed Martin has secured a US$366 million deal with the Republic of Korea Navy to build and integrate Aegis combat systems into the three KDX-III Guided Missile Destroyers (DDG). The People's Liberation Army Air Force (PLAAF) has showcased a number of improvements for key locally developed fighter aircraft including the Chengdu J-10 and J-20 stealth fighter. Indonesia's program to procure Russian Su-35 'Flanker E' multi role combat aircraft is at risk of termination following US pressure and legislation to force the Indonesian Air Force (TNI-AU) to procure the Lockheed Martin F-16V Viper aircraft. Taiwan has commissioned two former US Navy Perry Class guided missile frigates into its Navy as the country seeks to respond to growing concerns about the threat presented by China. Iran has started production of the locally-designed Kowsar fighter aircraft. Iran says the Kowsar is "100 per cent indigenously made" and able to carry various weapons and is to be used for short aerial support missions. Saudi Arabia has signed a joint venture with Spanish company Navantia to jointly build five corvettes for the Royal Saudi Navy. Pakistan has conducted a joint military exercise with Russia. The exercise saw troops from both the countries take part in various exercises and also exchanged mutual counter-terrorism experiences. The French Navy's aircraft carrier, Charles De Gaulle, has returned to service following a €1.3 billion Euro mid-life upgrade program, which focused on modernising facilities for landing and guiding aircraft. The French Air Force has officially joined the global KC-30/A330 MRTT family with the delivery of the country's first tanker aircraft. Germany's military has been caught up in a scandal after it was discovered that just over one-third of their newly delivered equipment is fit for purpose an official report found. The report states only 38 of the 97 heavy military equipment delivered to the Bundeswehr in 2017 can be used. Leonardo has received a contract to provide seven OTO76/62 Super Rapid (SR) gun mount systems for the Germany Navy's new K130 Corvettes. The Italian Navy is set to launch a series of programs, including a third batch of two evolved Type 212A submarines, an improved version of MBDA's Teseo Mk 2 anti-ship missile system and a submarine rescue vessel. Poland has signed a €175 million deal to procure the Pilica air defence system, which consists of a double-barrelled 23mm gun and two short-range Grom missiles. It can be used to combat unmanned aerial systems, helicopters, aircraft and manoeuvring missiles. 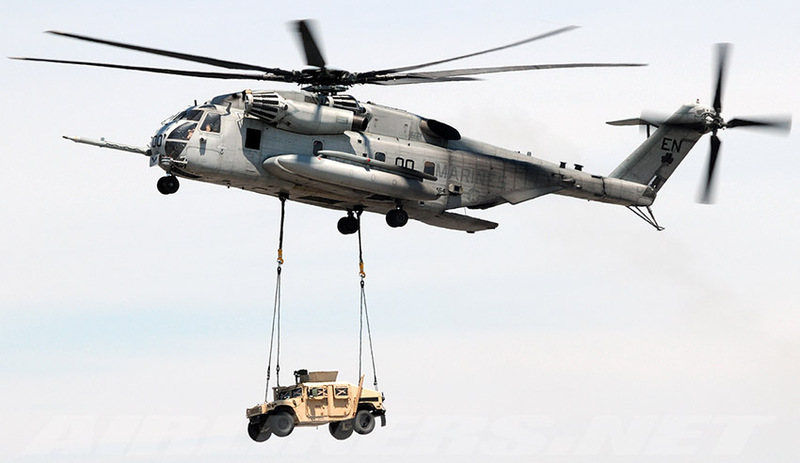 Lockheed Martin has secured a US$717 million sustainment contract with the US Navy and US Marine Corps for the CH-53E Super Stallion and MH-53E Sea Dragon helicopters. The US Navy is introducing a 'Top Gun' school for it's submarine fleet to develop the anti-submarine warfare capabilities need to respond to growing Russian and Chinese fleets and capabilities. The US Army has developed a next-generation concealment technology called the Ultra-Light Camouflage Netting System that can be used to conceal soldiers, vehicles, tanks and aircraft. The new camouflage system will mask soldiers, vehicles and installations from state-of-the-art electro-optical sensors and radars. The Canadian Navy has received its sixth Arctic and Offshore Patrol Ship (AOPS). The additional AOPS will enhance the Canadian Armed Forces’ capabilities in the Arctic, as well as augment its presence on the Atlantic and Pacific coasts. The AOPS are designed to be used for a variety of missions at home and abroad, such as coastal surveillance, search and rescue, drug interdiction, support to international partners, humanitarian aid and disaster relief. Dassault Aviation has withdrawn from Canada's competition to buy 88 new fighter aircraft. With the Rafale out of the race, the potential aircraft in the competition now include the Lockheed Martin F-35, the Eurofighter Typhoon, Saab’s Gripen and the Boeing Super Hornet. The US reaped US$192.3 billion from weapon sales in the 2018 fiscal year, up 13 per cent on 2017 figures. ASC has secured a specialist support role for Saab's A26 future submarine development program. Australia has successfully launched the OneSKY air traffic control program to integrate civilian and military air traffic on a common system. BAE Systems Australia has delivered a key capability upgrade to the Royal Australian Navy's Anzac Class frigate HMAS Arunta as part of the ship's Midlife Capability Assurance Program (AMCAP). Australia has successfully integrated the Cooperative Engagement Capability into HMAS Hobart during exercises in the Pacific with the US Navy.